This article is about the town in Turkey. For the Hindu mythological figure, see Vali (Ramayana). 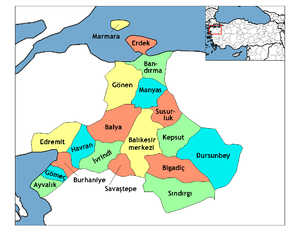 Balya is a town and district of Balıkesir Province in the Marmara region of Turkey. The mayor is Osman Kılıç (MHP).